DOV LEDERBERG grew up in the Philadelphia area and began his involvement in the arts at Haverford College and the Columbia University School of Fine Arts. During the Sixties he became one of the active filmmakers within the New American Underground and the N.Y. Filmmakers' Co-op. Between 1967 and 1994 he was an independent film director, mainly for Israel TV, making documentary and educational films, as well as creating various video art works. Since 1995 Dov has been deeply involved in using new art mediums and techniques to express and render the subtle ideas of Jewish mystical teachings and meditation. He has created many original acrylic paintings and video art compositions inspired by the Hebrew letters in the scribal style. His current work is involved with kabbalah mandalas, cosmic contemplations, visual paradigms for dialogue , triptych trips and wax congealings within the abstract illusionist genre, essentially creating an evocative "gestalt' which invites the viewer's active interaction and interpretation. 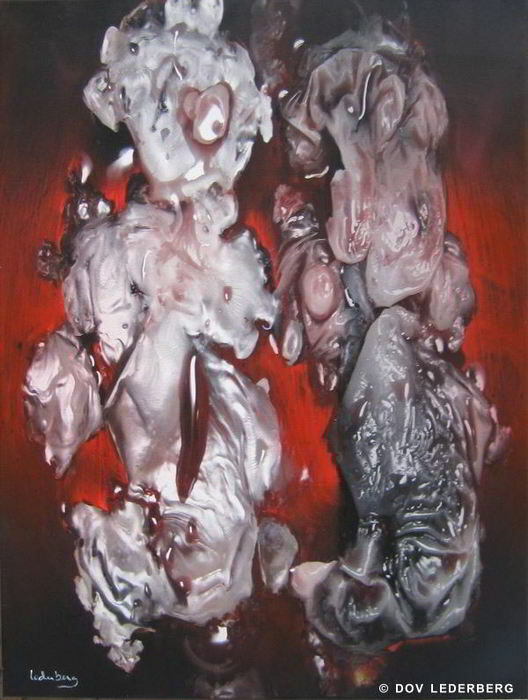 His paintings and video art are exhibited in museums and galleries in the United States and Israel. Dov lives in Jerusalem, but makes frequent trips abroad for lectures and exhibitions. 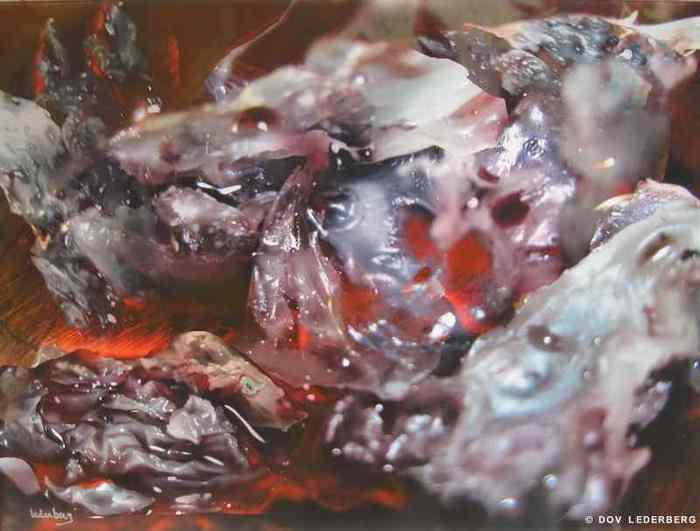 A series inspired by extreme close-ups of congealed wax textures caused by dousing a burning candle into the wine cup at the mystic End of the Sabbath or Havdala ceremony, signifying the "havdala", or separation, from the holy and the secular, from light and darkness. The paintings contain innumerable faces and faces within faces, which could be seen as a visual paradigm for the modern human personality, a fitful assemblage of countless family, schooling and social "faces", many of which are even unknown to the bearer. A sardonic view of Isaiah's (11:6) messianic prophecy: "A wolf and a lamb will live (peaceably) together", referring to Israel's (the lamb) future relation to its enemies, who will be around but won't (be able to) harm. The problem now is that the "wolf" in the painting has not yet read Isaiah.